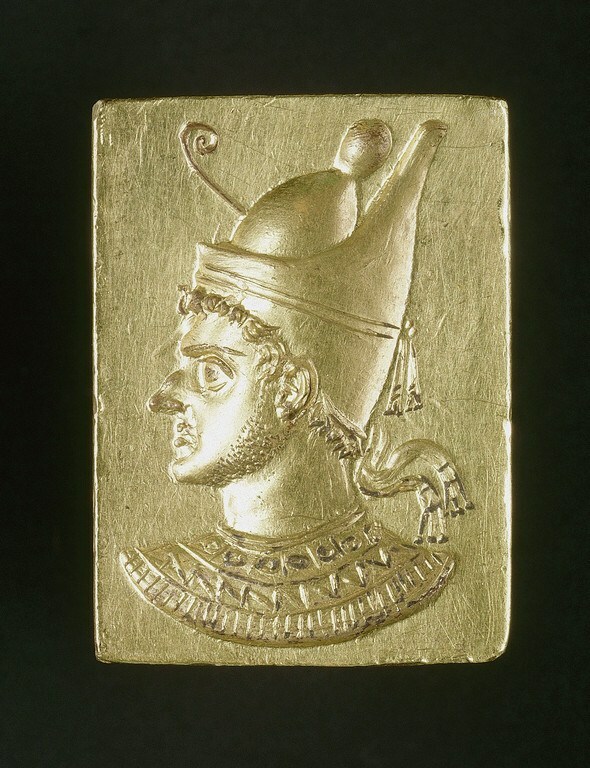 Ring with portrait of a Ptolemy wearing the Egyptian double crown, about 186 - 145 B.C., gold. Musée du Louvre. © RMN-Grand Palais / Art Resource, NY. Photo: Hervé Lewandowski.